This Program is the same as the Specialist program but the price is reserved for Touch for Health graduates or equivalent. Contact our office to determine if you qualify for this before purchasing. Do you want an easier way to market yourself? Do you want to learn new ways to balance muscles easily and effectively? Do you want to work with fitness enthusiasts and beginners wanting to be physically fit? Do you who want to help others be more “functionally fit” and do everyday movements easily? The Bridge Program (click the link to see what's included) will teach you a system of balancing muscles that is fast and can be used at the side of any sports field, event, in a gym or office. It is finally here and we are so thrilled to be sharing it with you. The Bridge Program will allow you to use your muscle testing skills and apply them in a more marketable way with a few more muscle tests and new assessment and balancing techniques. Your Instructors have a combined experience of more than 50 years in research and application of muscle testing processes, teaching and program creation. (includes the cost of the in-person seminar and first year's trademark license for those who pass the proficiency assessment... which gives those people the right to use the term “Muscle Tuner™ Specialist”). We are offering YOU a special price for the ONLINE ONLY portion of this Program. Your cost will be $925 CDN / $700 USD. Because of your prior experience, you may be eligible to challenge the Practical Assessment via video conferencing therefore saving on travel expenses and loss of time at work. Act quickly and you might be able to access a time limited Coupon Code for a further 25% discount! Three and a half day In-Person seminar (excludes accommodation and travel expenses) and the Practical Assessment (either in-person or via video conference), for an additional fee. The Muscle Tuner™ Specialist Trademark License once you pass a proficiency evaluation with one of our Trained Experts. It is time to showcase Muscle Tuning™ as a valuable part of a wellness program. These skills are essential because of their role in helping people gain more strength, flexibility and range of motion to maintain a healthy body. With your prior experience we expect you already know that muscle balancing works to increase performance and may even decrease recovery time from fitness routines and injury. 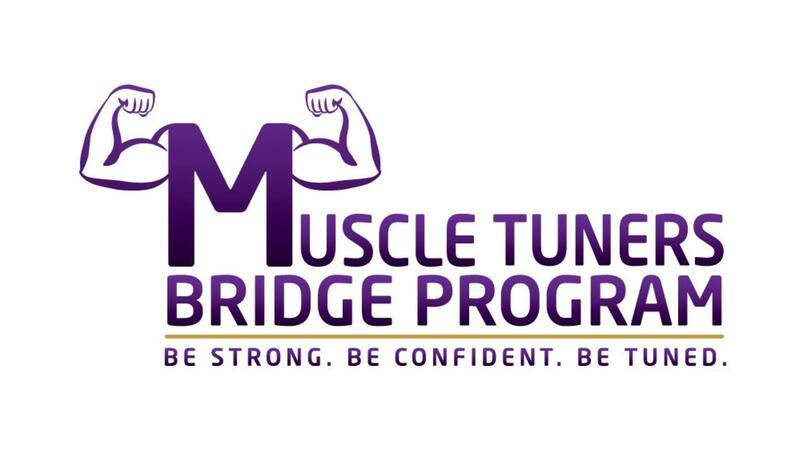 We invite you to be one of the first to experience the MTI Inc. Bridge Program and become a part of the Muscle Tuner™ Specialist’s network today! IMPORTANT NOTE: Upon your purchase, access to the Program will be granted after [email protected] receives a copy of your TFH (or equivalent) certificate. Choose this option if you live in the USA. Choose this option if you live in the Western Provinces, Northern Territories or Quebec where you pay 5% on services. NOTE: this offer is good for the online portion of our Program only. You may not need to attend an in-person seminar depending on your previous muscle testing experience. You will be billed a separate amount when you choose to attend an in-person seminar, and/or the in-person or virtual Practical Assessment to qualify to call yourself a Muscle Tuner™ Specialist. Choose this option if you live in Ontario and pay 13% HST on purchases. Choose this option if you live in the Maritimes and pay 15% HST on purchases. Choose this option if you live outside of North America.